Amkette India has launched a range of Audio tech products in India which include Trubeats speakers, Metal and solo, along with 6 new head phones in Amkette Free Spirit and Slix series. 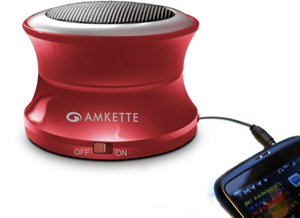 Amkette Metal is a Bluetooth enabled 40 mm Magnetically Shielded speaker with built in Microphone which helps you answer calls when connected to your phone. The Bluetooth version is 2.1 Class 2 and the range is up to 10 meters. These 80 DB, 3 W speakers have a playback time of ample 8 Hours and will cost you Rs. 2,995. 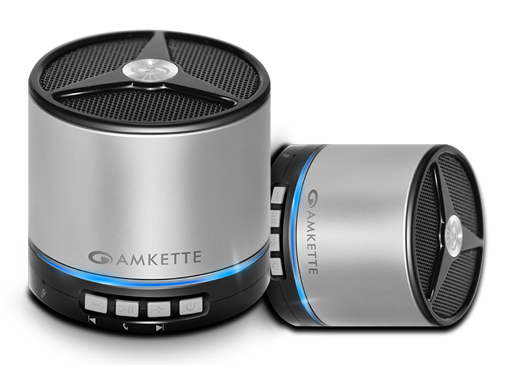 Amkette is marketing these with the slogan- “Possibly the smallest loudest speakers on earth”. 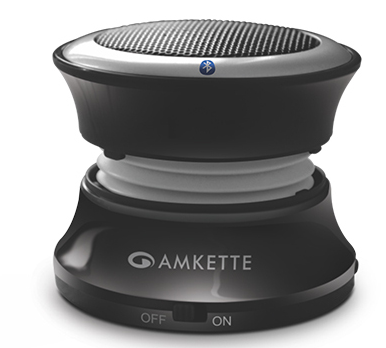 Amkette Solo speakers on the other hand come in various color options and are priced at Rs. 1,295. The out power remains same at 3W and these speakers have an enhanced 10 hrs playback time. The Wireless Solo Speakers will cost you 1,995 INR and will give you playback time of around 6 hours. These speakers feature Bluetooth 3.0 and have a range of up to 10 meters. The Amkette Slix headphones are Bluetooth enabled headphones with magnetic clips and angled ear buds for better fitting. These headphones have a charging time of 3 hrs which will result in 5 hrs of playback. Amkette Slix headphones will come in red and black variant and is priced at Rs. 3,195. Harman India also launched its arsenal of Audio Technology for this festival season and so has Amkette. These products look good on paper and will attract wide variety of consumers.